The TP-Link TL-WR1043ND is a high speed wireless N 300MBPS router with 4 port Gigabit switch built in. 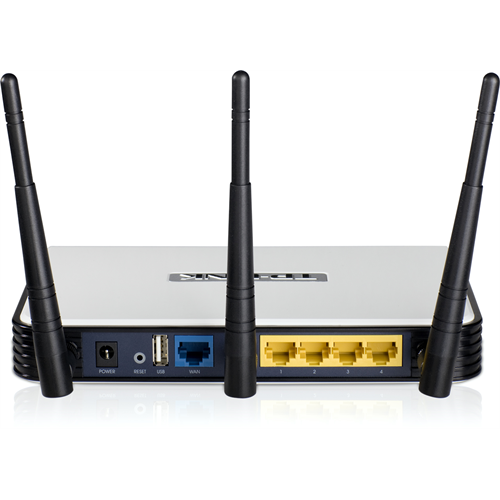 Using three antennas and built in SST technology this router increases stability and makes the wireless network more robust. The built in mult-functional USB 2.0 port can be used to share files locally or over the Internet or to share a printer. 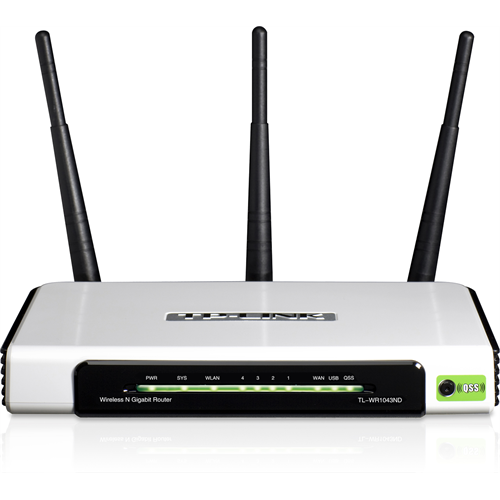 It's powerful with built-in Quality of Service features but remains easy to use.